Indie Retro News: Xyphoe plays through all the Microids games on the Amstrad CPC! Xyphoe plays through all the Microids games on the Amstrad CPC! Vive La France! Xyphoe takes an Amstrad CPC journey exploring all the games released by French developer and publisher "Microids" who still exist today! 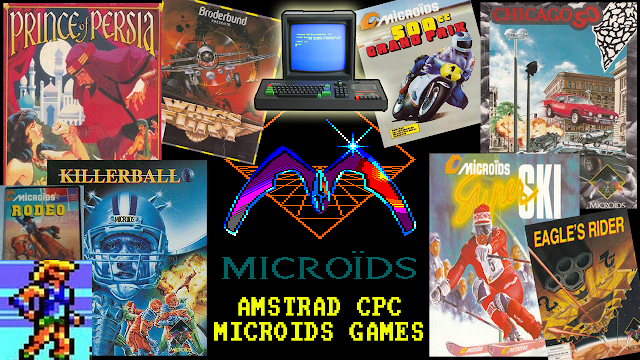 Microids heavily supported the Amstrad CPC and for most of the 80's the Amstrad was their primary target platform. Their games are known for trying different concepts and styles from the 'norm' and often featured lovely colourful graphics and animation. As you will find, not all their games were a success however neither did they release any real stinkers! So this is a kind of a "Let's play" video of sorts, unscripted and unrehearsed, but hopefully a lot of fun!